100On this day one hundred years ago, 6th December 1917, Finland bravely declared independence during a period of intense global upheaval. Amidst World War I and the immediate aftermath of the Russian Revolution, the centenary of which was also commemorated earlier this year, the formation of the Republic of Finland was a critical but often understated moment in modern history. In this series, I take a brief look at the history of this humble nation that I proudly call my home — its great successes, as well as its darker moments — and offer my thoughts on how it can it can build on the principles that have led it to be one of the world’s fairest and happiest countries. Part II to follow. 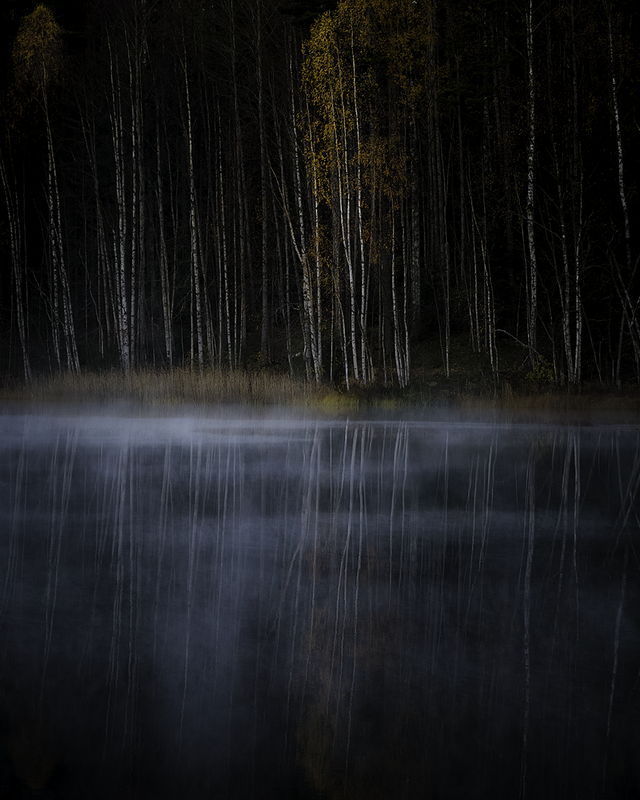 Repovesi National Park in the evening fog. Photo by @nickinluonto. © 2017 Nick Walters, all rights reserved. Whilst Finland as an independent nation has a short history, it has been inhabited since the end of the last ice age, for around 11,000 years. Evidence of prehistoric activity can be found in rock paintings across the region, including in Hossa National Park, which was opened earlier this year in celebration of the centenary, as well as in Kolovesi and Repovesi National Parks. Uralic languages, which are totally isolated from other Nordic languages, are thought to have been spoken in the region since around 4,000–2,000 BC, later splitting into proto-Samic and proto-Finnic. By the end of the iron age, four main cultures existed: Finns (southwest Finland), Tavastia (central southern Finland), Karelia (southeastern Finland) and Sámi (Lapland). There appears to have been contact between Sweden and Finland during the Middle Ages, including possible evidence of Viking invasion and settlement. From around the 12th century onwards, the Finno-Ugric tribal cultures of the region gradually became incorporated into Sweden and converted to Christianity, especially during and after the Northern Crusades of the 13th century, when the native population was incorporated into the Swedish Empire and converted to Evangelical Lutheranism. In the 16th century, Mikael Agricola, the bishop of Åbo (Turku) formalised the Finnish language, which had been fragmented into regional dialects. Despite the cultural and linguistic differences, Finland was treated as an integral part of the Swedish Empire, rather than as a colony or autonomous region. A Swedish-Finnish minority of around 5.4% of the population remains in Finland, particularly in the Åland/Ahvenanmaa archipelago and around the west coast and Espoo, and Sweden also has a sizeable Finnish population. 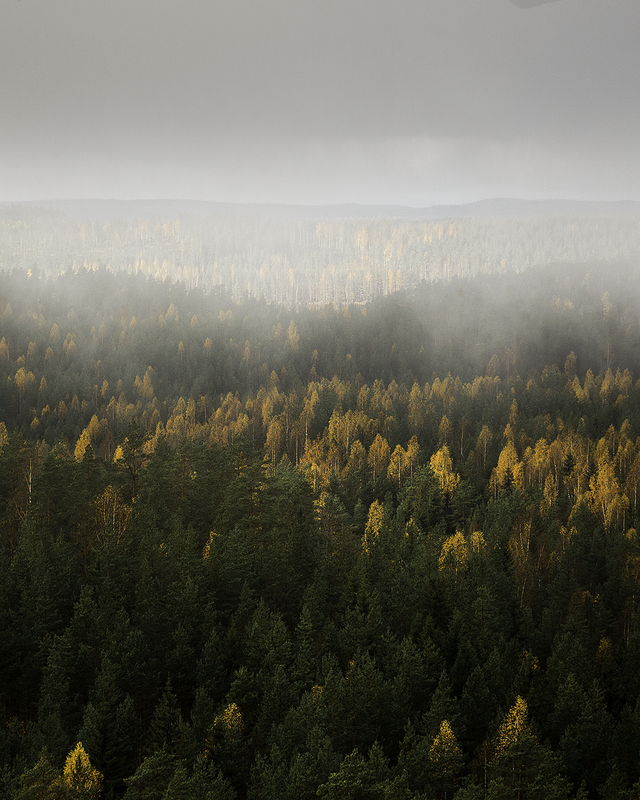 Autumnal Repovesi National Park. Photo by @nickinluonto. © 2017 Nick Walters, all rights reserved. During the early and late 18th century, separate wars between Sweden and Russia for control over the Finnish and Baltic regions resulted in hardship for the Finns. It was not until 1809 that the Russian Empire finally won Finland from Sweden, during the Finnish War. Tsar Alexandr I granted the new Russian region, named the Grand Duchy of Finland, autonomous power through the Diet of Porvoo. This continued through the reign of Tsar Nikolay I, who despite abolishing the autonomy of other regions, allowed Finland to remain autonomous, due to the loyalty of Finnish troops. The next tsar, Alexandr II, is still viewed favourably by Finns, having promoted Finnish nationalism and allowed the introduction of the Finnish markka currency in 1860. Autonomy also remained during Tsar Alexandr III’s reign. Although Finland suffered one of Europe’s harshest ever famines between 1866 and 1868, the easing of its financial regulations by the Russian Empire enabled rapid economic and political development thereafter. The modernisation of the Finnish language by Johan Vilhelm Snellman, the compilation and publication of traditional stories and poetry into the national epic Kalevala by Elias Lönnrot in 1835 and the publication of the first novel in Finnish by Aleksis Kivi in 1870 also played an important role in the development of modern Finnish identity. In 1899, Tsar Nikolay II began restricting the Grand Duchy’s autonomy, allowing it to maintain control of local affairs but asserting the supremacy of Russian control over national issues. This Russification galvanised the independence movement. The Finnish Labour Party, the predecessor of the Social Democratic Party of Finland (SDP) and the country’s oldest remaining party, was also founded in 1899, and played a central role in the struggle for independence through non-revolutionary, democratic means. In 1905, Lenin and Stalin met for the first time in Tampere, the city in which I live, at a meeting of the Bolsheviks. From Tampere, in 1906, Lenin also declared his support for Finland’s independence. In the same year, the SDP played a fundamental role in granting all adult citizens the right to vote and stand for office — the first country in the world to do so, although this was effectively meaningless until independence, due to the policies of the tsar. In 1916, the SDP won an absolute majority in parliament — the last time any Finnish party has done so — gaining just over half of the seats with just under half of the votes. By the time of the Russian Revolution of 1917, the country was roughly equally divided between the SDP and right-wing parties. When the SDP passed the Power Act, which attempted to exploit the instability in Russia to give the Finnish parliament full power over almost all issues (except those relating to foreign policy and the military), the Russian Provisional Government dissolved the Finnish Parliament. Although they won 46% of the votes in the resulting 1917 election, the SDP was not quite able to form a government alone, and power was handed to a very fractured collection of smaller right-wing parties. 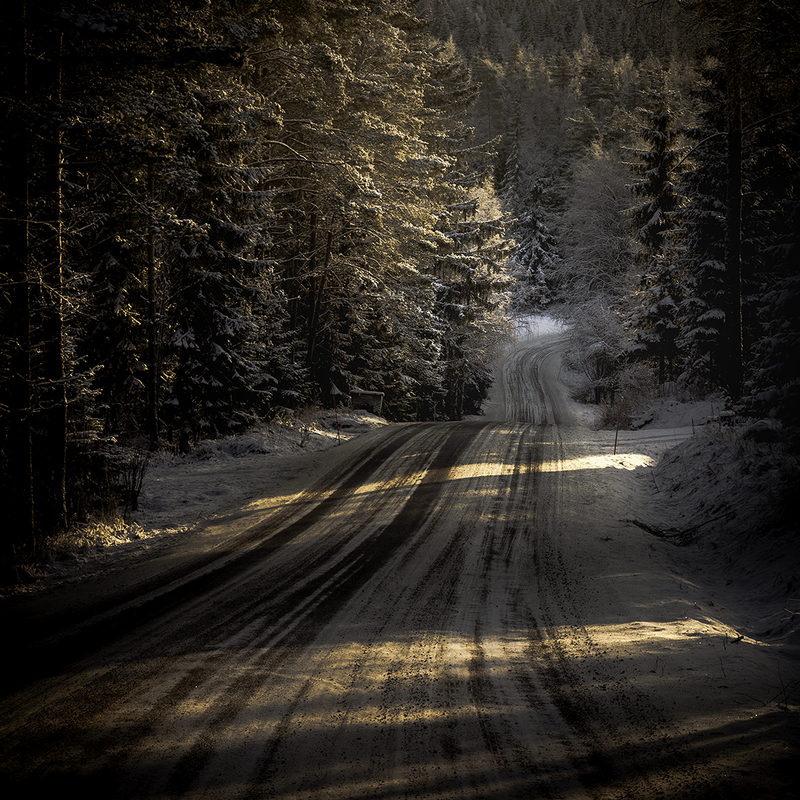 Isojärvi National Park in early winter. Photo by @nickinluonto. © 2017 Nick Walters, all rights reserved. The October Revolution in Russia led the right-wing to reconsider the prospect of independence, having previously been against the SDP’s drive towards an independent state. A conservative lawyer called Pehr Evind Svinhufvud played a key role in developing the Declaration of Independence, which was issued on 2nd November 1917, on the same day that the Bolsheviks declared a general right of self-determination, which included the right to complete secession “for the Peoples of Russia”. He was appointed head of the Senate on 27th November 1917, until he stood down on 27th May 1918, and later became the third president of Finland in the 1930s. The declaration was accepted by the Finnish Parliament on 6th December. On 22nd December, the declaration was accepted by the All-Russian Central Executive Committee, and within six weeks, Finland’s independence had been formally recognised by Germany, Sweden, France, Norway, Denmark and the Austro-Hungarian Empire. During the same period, Finland’s Baltic neighbours Estonia, Latvia and Lithuania also declared independence from Russia. The election of 1917 had split Finland into bitter social divisions. The right-wing Whites, who consisted predominantly of the Swedish-speaking elite and middle class, as well as farmers and peasants in the rural, northern two-thirds of the country, had a conservative outlook, rejecting socialism. In contrast, the Reds, who were predominantly working class and of Finnish-speaking origin, typically urban workers or landless rural workers, embraced social democracy or communism and rejected capitalism. Tampere — dubbed the “Manchester of Finland”, due to its significant textile industry— had a particularly strong Red supporter base, being the industrial centre and home to many working class Finnish speakers. Helsinki and Turku, also being industrialised, also had a strong Red supporter base, though enclaves of opposition supporters existed on both sides. Lenin and Stalin had unsuccessfully attempted to encourage the Reds into initiating a revolution in November 1917. 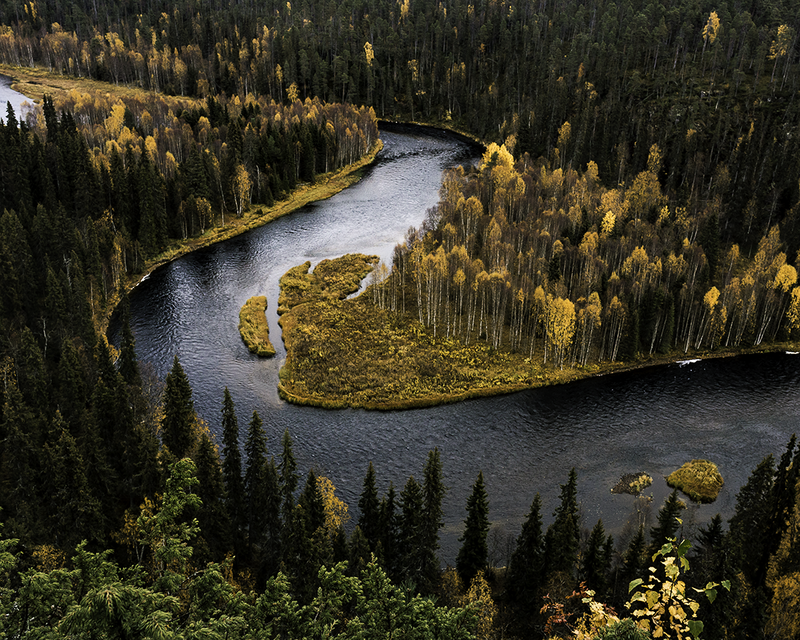 Oulanka National Park in autumnal colours. Photo by @nickinluonto. © 2017 Nick Walters, all rights reserved. A civil war between the SDP-led Red Guards (primarily agrarian and industrial workers) and the Senate-led White Guards (consisting of peasants and middle and upper class factions from central and northern Finland) soon broke out, raging from late January to mid-May. The conflict formed part of World War I and both factions, of similar size, were backed by foreign powers. The war was effectively a power struggle between the democratic socialists and the capitalists, with both sides claiming to be acting only in defence against political and military aggressions. It is important to note that the Reds favoured democratic rule, in contrast to the dictatorial approach favoured by the Bolsheviks, despite having their backing to self-govern as an independent socialist nation. Their vision for a Finnish constitution was inspired by the Swiss and American states, with power concentrated in a multi-party parliament and with a smaller senate. Although the Reds signed a treaty with the Bolsheviks, it prioritised national issues over a common international socialist goal, and dispute remained over the eastern border. It was soon eclipsed by the Treaty of Brest-Litovsk between Soviet Russia and the Central Powers, which effectively ended Russia’s participation in WWI. 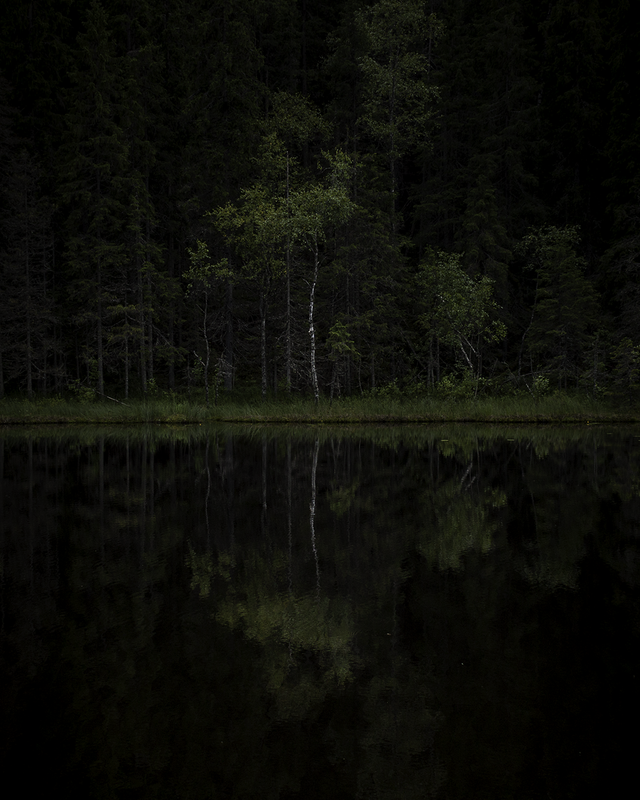 A shady, secret hideaway in eastern Finland. Photo by @nickinluonto. © 2017 Nick Walters, all rights reserved. The Reds were supplied with weapons by Soviet Russia and led the first general offensive, whilst the Whites retaliated with support from an Imperial German Army squad and a Swedish brigade. The Whites, led by former general Carl Gustaf Emil Mannerheim, won major battles in Viipuri and the Red stronghold of Tampere and their German backers won battles in Helsinki and Lahti. Both sides partook in terror campaigns, though the Reds suffered much more, with around 80,000 prisoners of war being imprisoned in camps. By the end of the war, they were being executed at a rate of around 200 per day. Over 32,000 Reds perished in the civil war, compared with fewer than 6,000 Whites. The war ended as the weakened Reds were left without a leadership, though no peace treaty was ever signed. Around 13,000 prisoners of war perished due to disease and malnutrition. Of the 76,000 cases examined after the war, 68,000 prisoners of war were convicted of crimes against the state (of which 39,000 were released on parole), and 555 were sentenced to death (of which 113 were executed). The remainder served 2–4 years in prison. The Whites, who remained in power throughout the Declaration of Independence and the aftermath of the civil war, voted to establish a constitutional monarchy, with a German prince called Frederick Charles of Hesse to be king from October 2018. However, the prince never took up the role, considering it to be untenable in light of Germany’s WWI defeat in November, and he never even arrived in Finland before renouncing his position in December. Finland instead became a republic and the first president was subsequently elected in 1919. In Part II, I explore the inter-war, WWII and post-war eras.